Urgent Appeal For Sierra Leone Flooding - DONATE NOW! 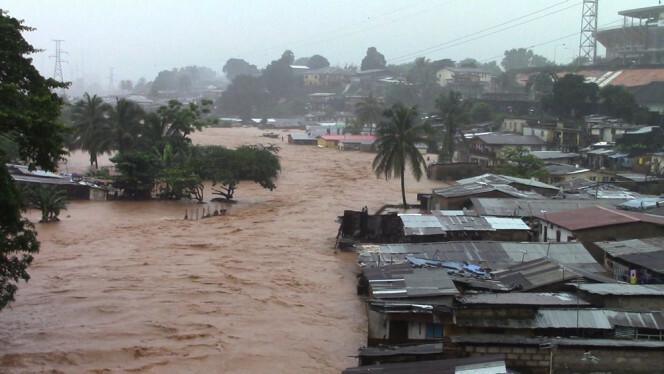 We are devastated to learn about the catastrophic flooding happening in Sierra Leone right now. Our good friends at WAYOut Arts, whom we have helped over the years to set up a recording studio and supply instruments, have issued a call for urgent support. They are now using the recording studio as an emergency shelter to house people, although this is helping it is not enough and the situation is getting worse. We have set up this fundraising page to help raise funds so that we can send over monetary support to help – £100 pays rent for a year, £30 buys a new mattress, £10 buys a set of clothes. Please, if you can, donate immediately and help make the recovery as painless and as quick as possible. When you click on the button you will be redirected to The Joe Strummer Foundation secure PayPal page (PayPal account not required, credit cards accepted). We will transfer the all of the funds every week directly to WayOut Arts. If you can not afford to donate money then you can still support the appeal by sharing this page on Facebook and / or on Twitter.